It’s Thanksgiving -- time for my Alfred Hitchcock movie marathon! My wife and 9-year-old son roll their eyes. I get that they don’t get how Hitchcock suspense movies have anything to do with a holiday about giving thanks, about family. 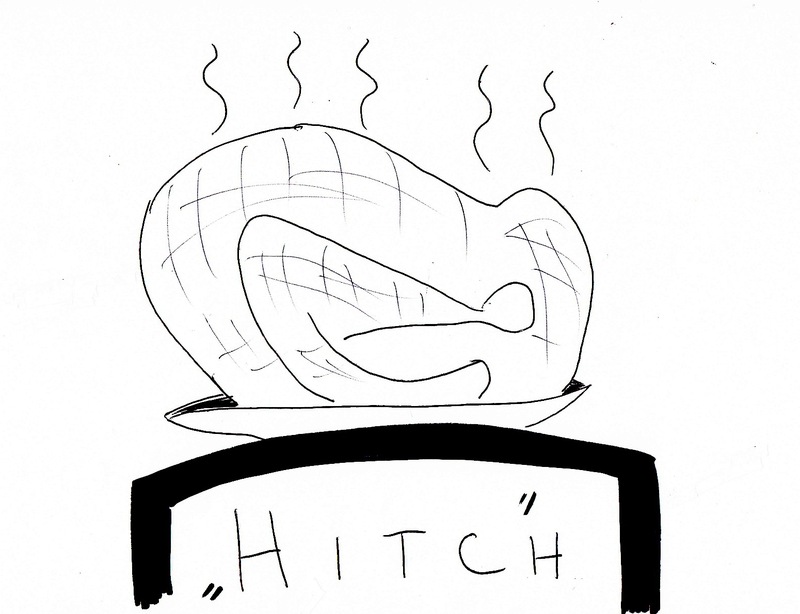 On the plus side, however, Thanksgiving is about turkey, and Hitch did cook up one heck-of-a film about birds. I don’t quite recall how watching Hitchcock films on Thanksgiving came to be a tradition of mine. I think there were a couple of Thanksgiving holidays in a row where I happened to be in the mood for a slice of murder. Then, one year, I went without. And I knew I was missing something delicious. The next year, I made sure to watch “The Birds.” The year after that, I watched “The Birds” and a few other Hitch classics. But last year, I made plans for the tastiest Thanksgiving Hitch Movie Marathon of all. I had the entire holiday programmed through dinner, with all the trimmings and “Psycho” for dessert. I showed my wife a printout of the movie line-up. She actually exhaled into my face, flipping the paper back at me without giving the mix of films any consideration. Great, I wondered, what’d I do this time? Turns out that she was annoyed with me for making, what she defined as, weird plans for Thanksgiving Day. “Weird means it’s not normal,” I said. “It’s not normal,” my wife replied. That settled it. I’d make it the new norm. I chopped a few films from the line-up to slim it down and packed up my DVDs for the long voyage to my wife’s aunt’s house. This, I thought, will be the best Thanksgiving yet. Days before the gathering, family members discussed what they hoped to do on the holiday. Some planned to watch football. I figured I’d just check scores for them in between movies. My wife and her aunt planned to spend quality family time together. Who does that anymore now that we have iPads? My son planned to go on a turkey egg hunt. Where do you even find turkey eggs? Maybe that was the point. First thing Thanksgiving morning, my brother called and asked if I was going to play “Duck Hunt.” I forgot about that tradition, which died long ago when I retired my old Nintendo video game system. The death of one tradition was all the more reason to keep my Hitchcock movie tradition alive. On the car ride over to the Thanksgiving festivities, I realized my plan was too perfect to work. I couldn’t just thrust my movies onto the whole family. Then my wife asked if I left the DVDs at home. I told her I hadn’t. She reminded me why I made a mistake -- she’d make my life miserable if I asked to play them on her aunt’s TV. I brought the movies into the house anyway. Rather, I smuggled them in with the bag of side dishes my wife prepared -- just in case I got the opportunity to play them. But I knew I’d just have to swallow the excitement I had for a day with Hitch and take part in everyone else’s traditions. By the end of the night, I hadn’t even mentioned my movie marathon. In fact, I forgot all about it. I was having such large portions of fun spending time with everyone and hunting down turkey eggs and watching football and eating and not watching any of my films. I really forgot all about Hitch. Really. On the way home, my wife thanked me for not pushing my film festival on the family. After 12 years of marriage, I’ve learned to compromise. And I feel good about it, like a good husband, a good father, a good person. But this Thanksgiving is another story. Now for this year’s line-up of Hitchcock films . . .